Some Nokia Mobile Phones Service Schematic Diagrams PDF are above. History of Nokia decided to count since 1865. May 12, 1865 Finnish mining engineer Fredrik Idestam received permission to build a factory for the production of pulp from Nokia River. It was the beginning of the future Nokia Corporation. It is in these years came the rapid growth of the industry. Industrialization, the demand for paper and cardboard for growing cities and offices grew with each passing day. And now, on the spot-mill factory increased pulp and paper mill. Over time, the Nokia plant has attracted a large number of workers, so that soon formed around the same city - Nokia. In 1987, when all produced mobile phones were quite heavy and have a large size, the Nokia launched one of the lightest and most transportable mobile phones. This has allowed to win significant market share. In connection with the gradual unification of the European markets at the end of the 80s, there is a need to develop a single digital mobile standard, later received the name of the GSM (Global System for Mobile Communications). In 1989, Nokia and Finnish telecom operator two formed an alliance in order to organize the work of the first GSM network. In order not to lose the position in competition with Telecom Finland, who controlled the long-term, state-backed monopoly on long-distance telephone service providers analog mobile services Helsinki Telephone Corporation and Tampere Telephone Company created a company Radiolinja. This company bought Nokia's infrastructure in the amount of 50 mln. USD, despite the absence of a license to a new network. Jorma Ollila, Nokia invited to Kari Kairamo, in 1990 led the Department of mobile phone companies. Regarding the new project has been a lot of talk, doubt it caused everything from the fundamental need for the existence of the network to technological issues. Still, Nokia team believed in digital communications and continue its work. July 1, 1991 is the first call through a commercial GSM network was made by the Prime Minister of Finland - for your Nokia phone. The project's success has made an impression on the company's board of directors, and a year later Ollila was appointed CEO of Nokia. This post and the post of chairman Jorma Ollila takes today. Since 1996, telecommunications have become the main activity by Nokia. We do not knowingly risked the Finns. After all, when Nokia has invested its resources in GSM, it was moderately successful company from a small country, defying already firmly standing on their feet the infrastructure, which invested billions of dollars, and universally accepted standard. Soon the company enters into agreements on the provision of GSM networks are 9 European countries. By August 1997, Nokia supplied GSM system 59 operators in 31 countries. I must say that this time Finland covers the deepest decline in production. And despite the fact that in the 80 Nokia becomes the third European TV manufacturer, as well as the increasing popularity receive satellite receivers of the company and the department dealing with the production of tires, especially when you consider the consistently high quality of the entire range of products offered, Nokia had to make the risky choice. In May 1992, the company headed by Jorma Ollila takes a decision on the reduction of all other departments and focusing research and production facilities in telecommunications. Today, Nokia is the world leader in mobile communications and telecommunications, we can appreciate the correctness of this decision. That's when the company took seriously the issue of mobile phones and other telecommunication products, she went to the international markets. As a result, in the late '90s Nokia was the market leader in digital communication technologies. In a short time, thanks to their ability to be responsive to the frequent market changes and quickly to adopt the latest developments and technologies, the company has achieved worldwide success. It is due to a competent and thoughtful approach, and also the right decisions - both in technology and in the field of management and human resources policy - Nokia has become a world-class mega-company. For some 6 years the company has made the jump to the international fame. Jorma Ollila, Nokia led just at the moment when she needed a breath of fresh air. And the company soon began to build momentum rapidly. By 1997, Nokia was the manufacturer of mobile phones almost all the major digital standards: GSM 900, GSM 1800, GSM 1900, TDMA, CDMA, and Japan Digital. Due to such extensive capabilities of the company was able to quickly strengthen its position in Europe and Asia. Already in 1998 it announced a 70 percent rise in profits (210 billion. Euros), while its main competitors Ericsson (Manuals PDF page) and Motorola are limited only by reports of slowing production. 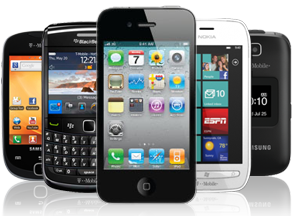 The demand for mobile phones continued to grow along with it grew and the market share of Nokia. In 1999, the company has won over 27% of the market of mobile phones, the Motorola (PDF Manuals page) and, marching the second, lagging behind it by as much as 10%. Today, Nokia is still the leader in the mobile phone market. What explains this rise? Let us try to understand the reasons for this success. From the rank and file Finnish companies it differs not only in the pursuit of growth and innovation, but also effectively expand the scope of activities. In addition, Nokia is remarkable for the fact that only one in the country has become a consistent policy of creating a complete chain of self-sufficiency: the production and new product development to marketing, brand promotion, sales and provision of related services. First of all, Nokia management decided that for the successful promotion of the market requires its own brand - the company failed to foresee that in the near future cell phones will be transferred to the category of consumer goods (previously Nokia products sold under the brands of mobile operators). Solve the task she was able to fully - Today the list of the most popular brands of Nokia brand ranks eleventh among Marlboro (10th) and Mercedes (12th). One of the strategic goals of the company has always been the continuous updating that is manifested in the skillful and constant segmentation, branding and design. As Procter & Gamble, Nokia periodically releases new items in various categories that consistently dominate the market. Like Coca-Cola, Nokia has gradually become a widely known brand, but made it much faster. Technologies. Nokia udlelyaet lot of attention and is investing heavily in technological development. The main breakthrough, according to several experts, has become an advanced and easy to use menu system. It was she, as many believe, has given impetus to the expansion of the functional capabilities of the phone and the gradual transformation of its no longer just in communication, but rather in the information device.